Cryptocurrency is digital "money" that utilizes encryption techniques to regulate the issuance of units and verify their transfer. Cryptocurrency operates without the participation of a central bank or other government agency. There has been a proliferation of cryptocurrencies - there are now over 900 worldwide; a number that continues to grow as more cryptoproducts are developed. Bitcoin is the most well-known and popular cryptocurrency, having reached a market capitalization (which fluctuates significantly) of over US$91 billion at the time of writing. Cryptocurrency can be acquired as payment in exchange for goods and services, can be purchased on cryptocurrency exchanges (in exchange for traditional currencies or other cryptocurrencies) or in "initial coin offerings", and can even be "mined". Mining refers to a process whereby persons solve complex mathematical problems, by which method they process or settle cryptocurrency transactions. Miners receive cryptocurrency as compensation for their efforts. Cryptocurrency has attracted regulators' attention; there is now a substantive effort to regulate and provide guidance on, among other things, the securities law, anti-money laundering, accounting and tax treatment of cryptocurrencies. This article provides a primer on the Canada Revenue Agency ("CRA") preliminary guidance to date regarding the characterization and tax treatment of cryptocurrency, both under the Income Tax Act (Canada) ("ITA") and the Excise Tax Act (Canada) ("ETA"). As with any emerging area, this is a field that will develop quickly and the guidance of the CRA, case law and tax literature in this area should be monitored closely. The CRA has characterized cryptocurrency as a commodity and not a government-issued currency. Accordingly, the use of cryptocurrency to pay for goods or services is treated as a barter transaction. A barter transaction occurs when any two persons agree to exchange goods or services and carry out the exchange without using legal currency. Under basic income tax principles, a barter transaction can result in income or expense treatment or in the acquisition or disposition of capital property, inventory or personal-use property. Where a vendor accepts cryptocurrency as payment for providing goods or services typically provided in the course of carrying on a business, the vendor should include in its business income the fair market value, in Canadian dollars, of such goods or services, at the time of the transaction. Based on CRA's position on barter transactions, the cost of the cryptocurrency received by the vendor should equal the value of the good or service provided in exchange. Similarly, where the cryptocurrency given by the purchaser in exchange for goods or services was held in a business activity, the taxpayer will also realize proceeds for such cryptocurrency equal to the value of the cryptocurrency disposed of, expressed in Canadian dollars, at the time of the transaction. In such a case, the characterization of any gain or loss arising on the disposition of the cryptocurrency as being on account of income or capital is fact specific and depends on the particular circumstances. Where taxpayers invest or trade in cryptocurrency, the characterization of the transaction as being on account of income or capital must be analyzed based on existing case law. In general terms, where a taxpayer does not engage in the business of trading in cryptocurrency (i.e., the taxpayer acquires such property for a long-term growth), any gain or loss generated from the disposition of cryptocurrency should be treated as on account of capital. However, where a taxpayer engages in the business of trading or investing in cryptocurrency, gains or losses therefrom should be treated as being on account of income. The cost to the taxpayer of property received in exchange for cryptocurrency (for example, another type of cryptocurrency) should be equal to the value of the cryptocurrency given up as consideration. It is unlikely that cryptocurrency would qualify for the election provided by subsection 39(4) of the ITA to treat all "Canadian securities" held by a taxpayer as capital property. This is because cryptocurrency likely does not meet the definition of "Canadian security" in subsection 39(6) of the ITA. The subsection defines a "Canadian security" as: a share of the capital stock of a corporation resident in Canada, a unit of a mutual fund trust, or a bond, debenture, bill, note, mortgage, hypothecary claim or similar obligation issued by a person resident in Canada. As the CRA considers cryptocurrency to be a commodity and cryptocurrencies are not shares of a Canadian resident corporation nor are they mutual fund trust units, unless, and this is unlikely, a particular cryptocurrency is structured under commercial law as a debt obligation issued by a resident of Canada, it does not appear that the subsection 39(4) election could apply. The CRA sees the "mining" of bitcoin as being either a business or a personal hobby (non-taxable). If the taxpayer mines in a commercial manner, the income from that business must be included in the taxpayer's income for the year. Such income will be determined with reference to the value of the taxpayer's inventory at the end of the year, established pursuant to the rules in section 10 of the ITA and Part XVIII of the Regulations regarding valuing inventory. Where a taxpayer holds a cryptocurrency in the course of a business, and a loss of such cryptocurrency results from of a theft, embezzlement, or defalcation, the losses are usually deductible in computing income from a business provided such losses are an inherent risk in carrying on the business and the loss is reasonably incidental to the normal income-earning activities of the business. The loss would generally be determined by reference to the cost of the inventory to the taxpayer less any compensation received such as insurance proceeds. 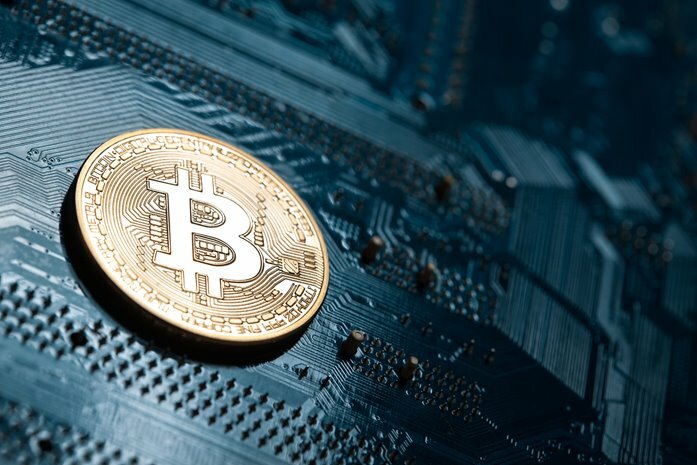 The CRA considers that when an employee receives cryptocurrency as payment for salary or wages, or otherwise in connection with employment, the amount, computed in Canadian dollars, must be included in the employee's income pursuant to subsection 5(1) of the ITA. Gifts of cryptocurrency can be subject to the charitable donation tax credit rules in the ITA. Where cryptocurrency is gifted to a person who is a "qualified donee", the CRA is of the view that the "eligible amount" of the gift for purposes of the tax credit is the fair market value of the cryptocurrency at the time of transfer. Conversely, if cryptocurrency is used to acquire property and that property is donated instead, the "eligible amount" of the gift is the fair market value of the acquired property. This distinction is important because the value of property in a barter transaction is not always equivalent. Canadian taxpayers that hold cryptocurrency directly or through funds should consider their filing obligations under the foreign reporting rules in section 233.3 of the ITA where such cryptocurrency is situated, deposited or held outside of Canada. The CRA considers that cryptocurrency is funds or intangible property and therefore, "specified foreign property". Further the CRA is of the view that the interest in a foreign partnership which in turn invests in cryptocurrency (to the extent the partnership is not a "specified Canadian entity") would also be "specified foreign property". Therefore, where the cost amount of such cryptocurrency exceeds CDN$100,000 at any time in the year and the cryptocurrency is not used or held exclusively in the course of carrying on an active business, the taxpayer must file form T1135 to report the property. These reporting obligations must be carefully considered given the CRA's automatic application of the late filing penalty in subsection 162(7) of $2,500 (after 100 days) and the six-year normal reassessment period under paragraph 152(4)(b.2) of the ITA. Where a taxable supply of a good or service is made and the consideration for such supply is paid in cryptocurrency, the CRA is of the view that the consideration for the supply is equal to the fair market value of the cryptocurrency at that time. This means that the supplier must collect and remit the GST/HST on that amount of consideration. If the supplier is tax registered, the recipient should be eligible to claim an input tax credit for the amount of GST/HST in accordance with the normal rules (i.e., to the extent the good or service is acquired for consumption, use or supply in the recipient's commercial activities). We would expect that Revenu Quebec would administer the QST with respect to cryptocurrencies in the same manner as the CRA. Given that cryptocurrency is a commodity, it is possible that a trader in cryptocurrency would also be required to collect GST/HST (and QST) on their supplies, but the CRA has not expressed a clear view on this point. While the foregoing CRA guidance provides some clarity, cryptocurrency and the types of platforms through which they are held and through which transactions occur are constantly evolving. We hope to see further clarification of the CRA's assessment positions, as well as targeted legislation to more effectively deal with the complexity of transactions involving cryptocurrency and the novel manner in which they occur. CRA Views 2013-0514701I7, "Bitcoins" (December 23, 2013). CRA, Interpretation Bulletin IT-490, "Barter Transactions" (July 5, 1982). CRA Views 2014-0525191E5, "Virtual Currencies (Bitcoins) (March 28, 2014). CRA Fact Sheets & Taxpayer Alerts, "What You Should Know About Digital Currency" (March 17, 2015). CRA Views 2014-0561061E5, "Specified Foreign Property" (April 16, 2015). Query what the CRA means by "funds" given its position that cryptocurrency does not constitute currency. CRA Views, 2015-0588971C6, "T1135 and Voluntary Disclosure" (October 9, 2015). The CRA indicated that this position still applies, APFF Financial Strategies and Instruments Roundtable, Q. 14 (October 6, 2017). Supra note 1. Interestingly, this position is contrary to the CRA position regarding the treatment of cryptocurrency as a "barter transaction" for income tax purposes. Under the Comprehensive Integrated Tax Coordination Agreement Between the Government of Canada and the Government of Québec, the Québec government generally agreed that, effective January 1, 2013, results under the QST system would be identical to those under the GST/HST system.